Single lane closures until early-June. Restore the historic northbound Hwy 169 bridge over a creek along Mille Lacs Lake, between Hwy 18 and the Garrison Public Water Access in Garrison. May-June 2019 - Crews will install a concrete bridge deck, resurface the road, remove temporary crossovers, establish turf along the roadway and install permanent road markings. Update April 17, 2019 - The stone masonry restoration on the bridge is complete. Fabrication of replacement steel for reinforcing the bridge arch (photo above) caused delays, and the concrete bridge deck was unable to be done in 2018. A temporary road surface was used over winter. The bridge will close and work will resume April 29, 2019. The final concrete bridge deck and remaining work to be completed by mid-June. Learn more about this historical roadside project. 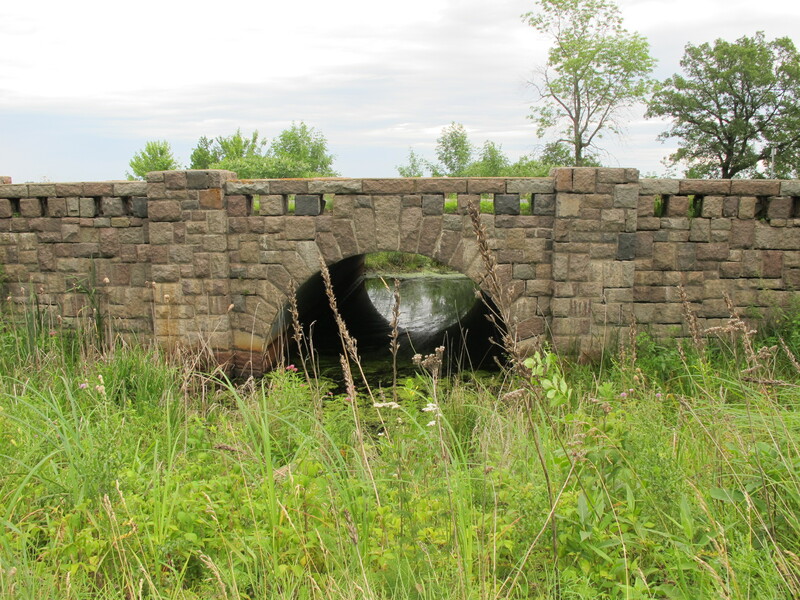 In 2019, MnDOT will also restore the historic Hwy 169 bridge over White Fish Creek north of Vineland in Mille Lacs County, and the Pine-Hickory Lakes Roadside Parking Area between Aitkin and Garrison in Aitkin County. Learn more about historical roadside projects on Minnesota highways. The Garrison Pedestrian Underpass (Bridge 5265) is listed on the National Register of Historic Places, and was originally constructed by the Civilian Conservation Corps in 1938. The pedestrian path beneath the bridge is now underwater. Learn more about historical roadside projects on Minnesota highways.